The park’s main architectural feature, a unique cantilever truss that extends 100 feet over the quarry, serves as an observation deck and offers beautiful views of the city skyline. The project was funded using $5 million in public bonds, which were voted on via referendum by Winston-Salem residents. The quarry, which had previously become a dumping ground for Christmas trees and other yard debris, had fallen into disrepair. After more than 15 years as an “organic landfill”, the City saw an opportunity to create a space that visitors can use for recreation and special events, all while honoring the history of the area. The quarry at Quarry Park was the first of its kind in the state of North Carolina. Originally called Piedmont Quarry, it opened in 1925 and provided crushed rock for buildings and roads. 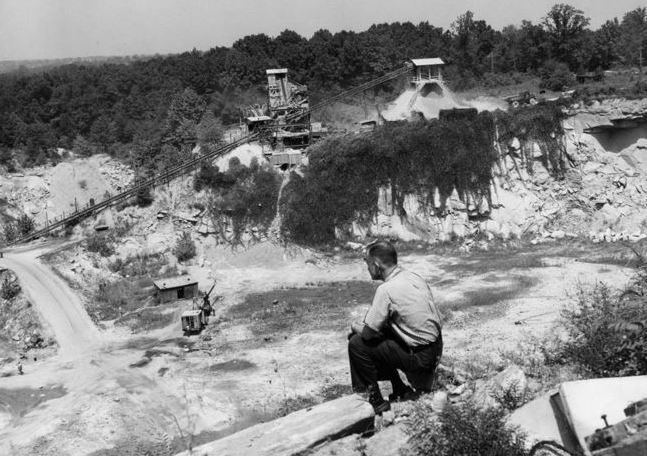 In the 1950s, the quarry was sold to Vulcan Materials, who owned the property and excavated there until the 1980s. The pit had begun to fill with water, and became home to fish and other wildlife. The quarry was donated to the City in 1998. In the late 1990s and early 2000s, the City began to use the property as a place for residents to drop off yard waste and other organic materials. The material would be converted into mulch, which was free for residents to pick up and reuse. In 2012, the City began to look at other possibilities in the area, and in 2016, bonds were approved to improve other parks in the City and make Quarry Park a reality. Residents no longer have access to the lake for fishing, swimming, or boating, but the park offers plenty of other activities for visitors. 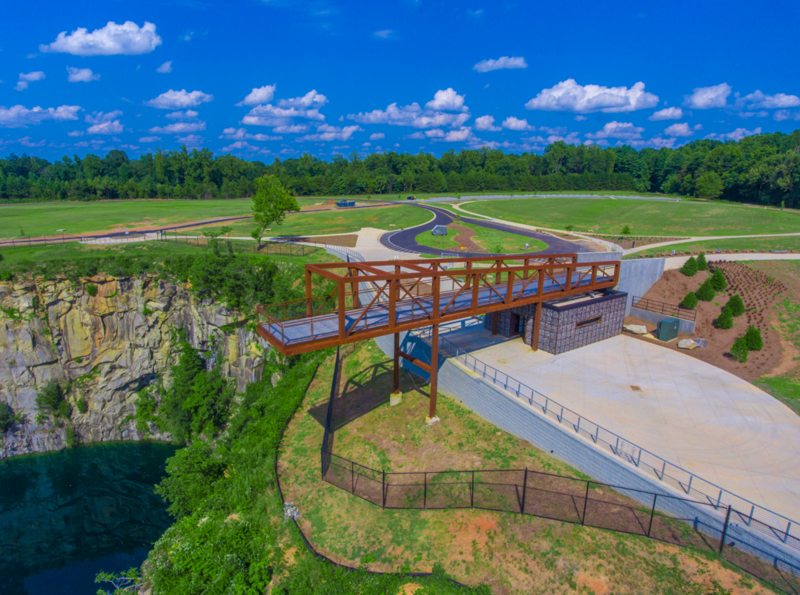 In addition to the greenways and observation deck, the park features picnic tables, several scenic overlooks, and an amphitheater that will be used for future events and performances. The park has been a popular spot for residents of and visitors to Winston-Salem, and the City has already begun discussing plans for Phase 2. 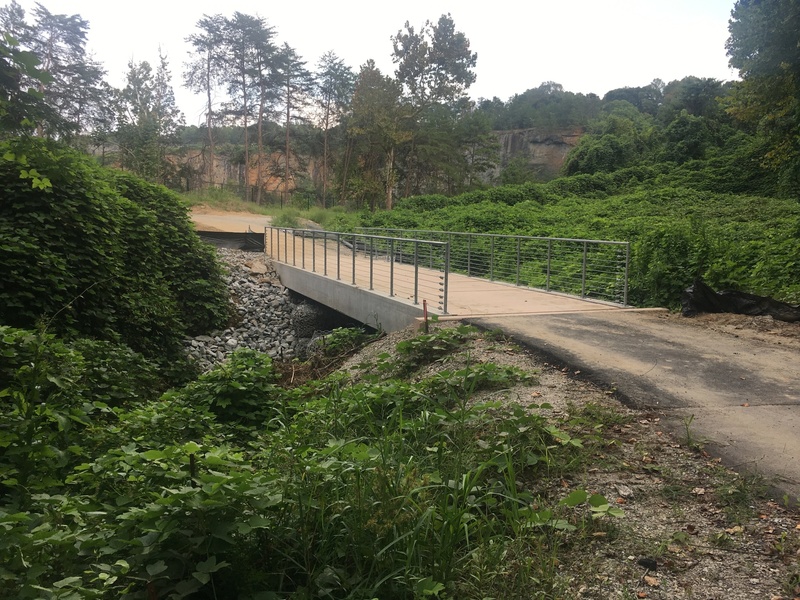 One of the biggest challenges the City faced with this project was the rough terrain surrounding the quarry, as well as the forest surrounding part of the greenway. 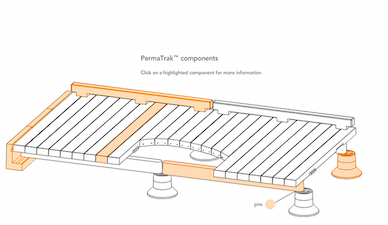 The City wanted to find an easy-to-install solution that was maintenance-free, yet durable and strong enough to hold any emergency vehicles that may need to use the trail to get to users. They also wanted to honor the history of the area with an industrial look. 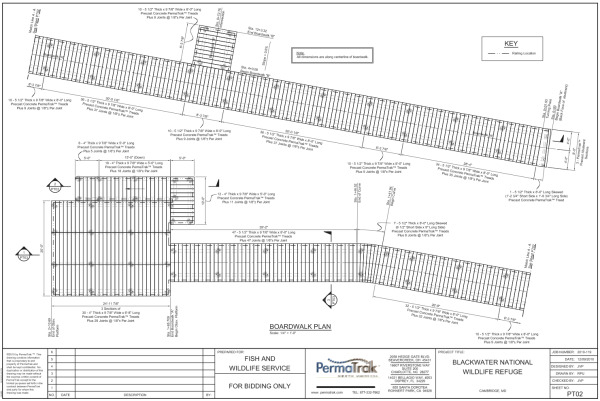 Installation for the 10-foot wide bridges took roughly one day each and went very smoothly. 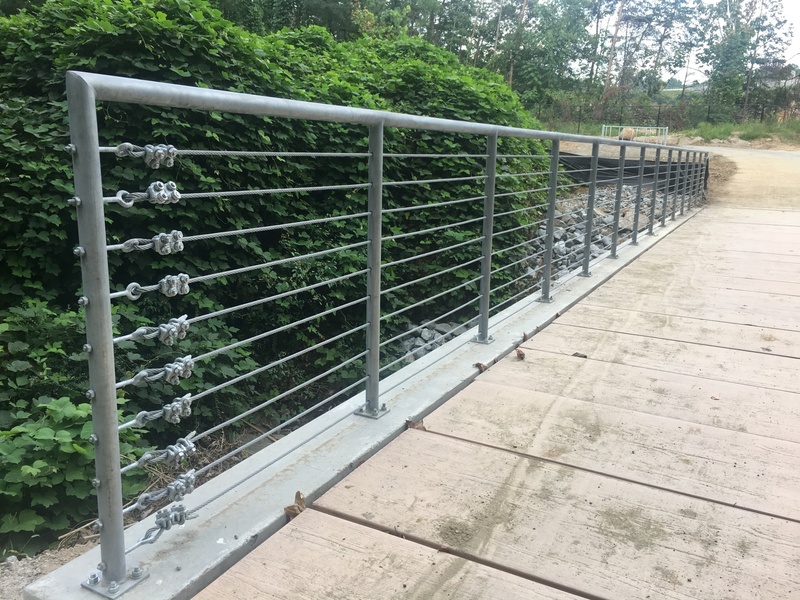 To enhance the industrial look, the bridges’ railing systems were built using galvanized steel and cable strands. What was once considered a “hidden gem” for fishing and swimming in Winston-Salem, Quarry Park has been reinvented as a premier park in the area. Residents now have a park that is historic yet modern, tying in the past with contemporary amenities. Future expansion and development for the park is sure to continue this commitment to honoring the past while celebrating the current growth of the area.